Kata C1 Announced, 5.5 Inch Quad Core Phone With 13 MP Cam! Home / kata / mobile / news / Kata C1 Announced, 5.5 Inch Quad Core Phone With 13 MP Cam! Earlier, Kata Philippines just announced their latest upcoming offering for the Philippine market soon. Dubbed as the Kata C1, it's poised to be a bang per buck phone that looks good on paper for the price. Related: Kata C1 Unboxing And First Impressions - Gorgeous Design, Budget Price! It features a 5.5 inch HD screen with a resolution of 1280 x 720 pixels at 294 ppi, runs with 1.3 GHz quad core processor, has 1 GB RAM, 8 GB expandable ROM and 2,500 mAh of battery capacity. 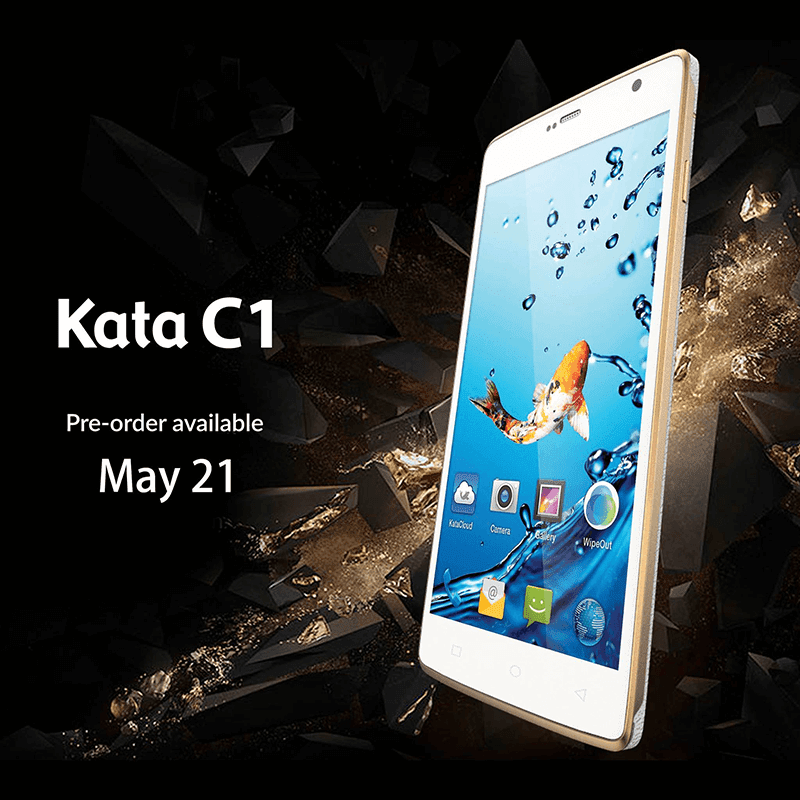 The Kata C1 also has a 13 MP rear camera w/ LED flash and a 5 MP selfie camera. You'll also get the usual HSPA+ connectivity and dual SIM card slots. This phone runs on Android 5.1 Lollipop OS w/ Kata's own skin. The SRP of the Kata C1 is still unknown for now, but it will be available on pre-order starting this May 21, 2016 on all Kata outlets nationwide.